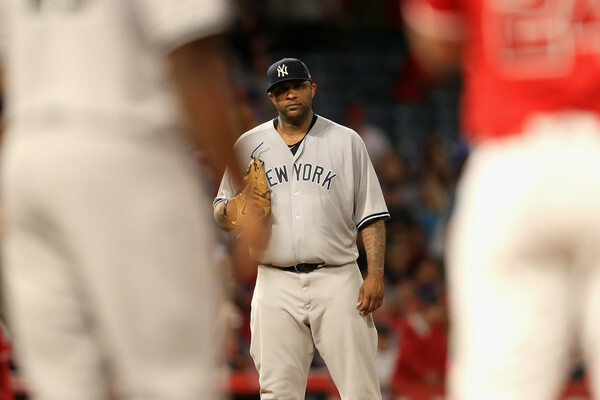 During the fourth inning of last night’s game, Sabathia grabbed his hamstring after a pitch to Martin Maldonado. He left the game after that inning, and it was later revealed that he suffered a hamstring strain and will most likely go on the 10-day DL. First off, this is a tragic loss. C.C. has been the Yankees best starter for the past month, pitching to a 0.99 ERA in his last six starts including last night’s game. Overall on the season, he’s 7-2 with a 3.46 ERA. His success this year is a big reason why the Yankees are in first place, so this injury is a big blow to the team. Get well soon, C.C. If/when Sabathia is placed on the DL, the Yankees will need a starter to replace him. They have a few options for this. They could just leave Chad Green in the rotation, and roll with what they have now with Tanaka-Pineda-Severino-Montgomery-Green. They could also use one of their starters down in AAA, such as Domingo German or Luis Cessa. I wouldn’t expect Chance Adams to get the call unless the strain is very severe, and Sabathia will miss extended time.